Thin Places, a book written by Ann Armbrecht, an anthropologist friend who completed her doctoral research in northeastern Nepal in the 1990s, explores what it means for people to live close to the land–and how that, in turn, fosters greater intimacy with every other relationship in our lives and shapes our sense of home. In the tribal region Armbrecht studied, the people seemed to live with a stronger sense of connection to the natural world and to community. The conceptual walls often imposed by Western cultures between humans and the environment seemed thinner for those in this region–more permeable and multi-faceted. Whether we choose to recognize it or not, the fact is we all live in thin places. Forward thinking segments of industrialized world now acknowledge that the boundaries and distinctions we have defined over centuries, whether between academic departments or cultural norms or forms of healing, are not so neatly segregated. Instead, what contributes to our health and well-being is far more complex and nuanced than we ever imagined. This of course raises more questions than answers. We can no longer retreat into our polarized perspectives. With emerging information and insights, we are instead forced to question our assumptions again and again. Yet there are few forums where open discussion on these complex issues and concerns can take place. This is why CHE is valued by so many around the world. CHE insists on civil, constructive, non-polarizing conversations on our highly regarded teleconferences and our multiple listservs. The vast majority of responses to our recent surveys indicate that CHE’s services would be sorely missed if they were no longer available. Many indicated that CHE is deeply important to them–it enriches their professional and personal lives in ways that no other organization in the environmental health sector does. In other words, CHE is a place where you can talk about thin places. The places that are not so clearly defined, but essential to ponder regularly with colleagues if we are to have a healthier future. Your support now will ensure that these critical conversations continue to take place so that we can collectively implement the most effective, well-informed, and prevention-oriented strategies possible. 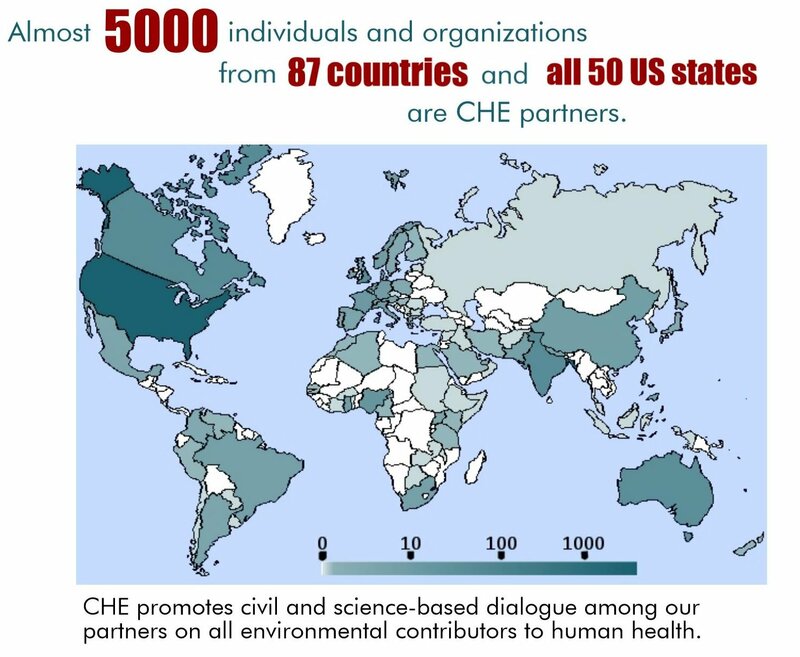 We recognize there are many organizations worthy and deserving of your support, but given what CHE uniquely provides in the environmental health field, please make a tax-deductible gift to CHE today. This entry was posted in Newsletter introductions and tagged environmental health, Thin Places. Bookmark the permalink.